FUSE is a coworking space where Lincoln’s knowledge-workers, creatives and technologists can come and work in an exciting, stimulating professional environment that provides collaboration, community and creativity. Memberships are either daily or month-to-month, there’s no setup fee, and you can cancel at any time. 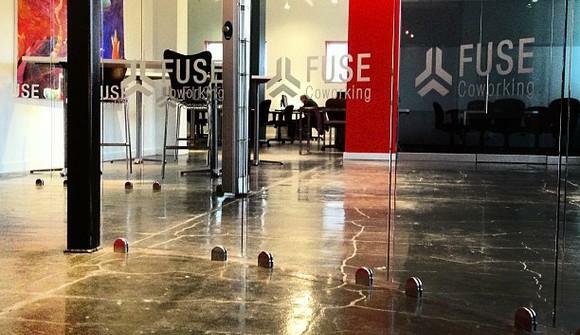 But Fuse Coworking is more than desks, meeting rooms and wi-fi. Fuse is a community, a place where we can collaborate, and create amazingly great stuff. It’s a place where small companies can come and grow. Fuse Coworking will have an open floor plan, and a lot of amenities that make a workplace feel like home, yet is still professional and focused. We’ll have plenty of seating, both large and small conference rooms, a comfy lounge when you want to relax, and an open kitchen. We’ll also have a killer-fast wi-fi network. M-F 9-5. For members, the space is 24/7.